Hello Friends, Drummers and Dancers! Due to a scheduling conflict, February’s Drum and Dance Circle is being moved to Wednesday February 6th! Please tell your friends and spread the word. If the phrase “Drum Circle” makes you think of the 1960’s, hippies and tide, you need to see what it is really about. This workshop is open to everyone of all skill levels. Being rhythmically challenged, I was leery at first. but after the 2nd one, I was hooked! After 6 months, it was even time to get my own drum. 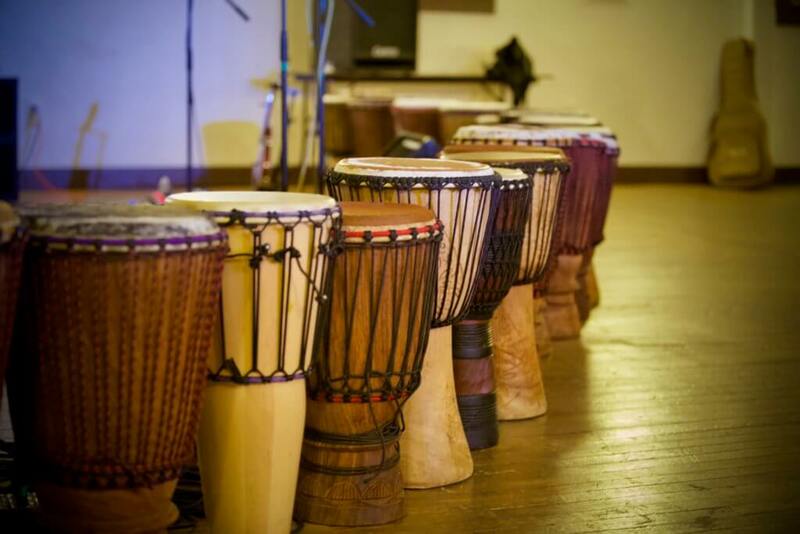 The drum and dance circle is a place where you relax, unwind and have some fun! Enjoyment, that is the main rule. The second is to try to make the group sound better. The third rule is simple too, if you think you made a mistake, just smile and keep on going! There are a few that lead the circle and give explanation and direction to get started. Then, something really magical happens, the group grows, syncs and creates it own flow. You are free to get up, move, dance, switch instruments at any time. It is about your experience and enjoyment. You just need to get yourself to the Center. Normally, the Drum Circle is held on the First Thursday of each month. However, February and March had to be shifted due to other events. Check the Center’s Calendar and the Harmony Drum and Dance Circle’s Facebook page for more information. Drums and percussion instruments are provided and available. Feel free to bring your own hand drum. All are welcomed and encouraged to try it out. There is no cost, but a suggested $10 donation would be greatly appreciated and helps to get more instruments.